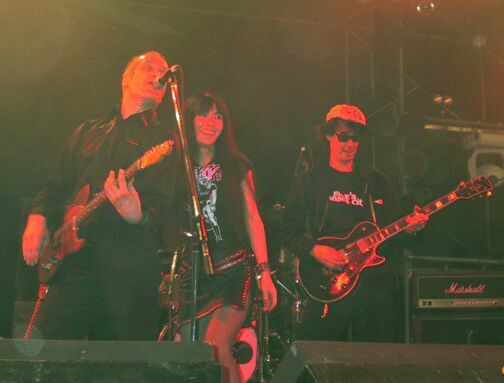 July 29, 2001 - Fuji Rock Festival '01 - Wilko Johnson played his Real Good Rockin Classics like as "Barbed Wire Blues" "Cairo Blues" "Back In The Night" "Don't Let Your Daddy Know" and The Show ended with his Dr. Feelgood years masterpiece - "She Does it Right", at The Encore, Wilko called Makoto Ayukawa and Sheena on the stage. Played their favorite Chuck Berry's "Bye Bye Johnny". 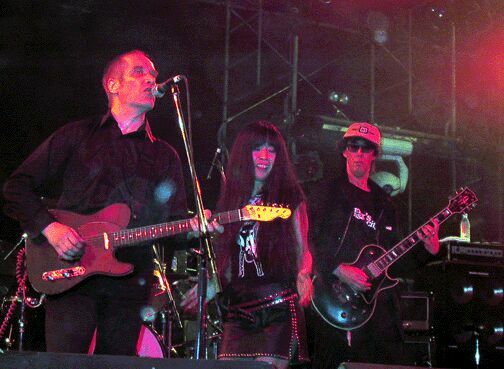 It was the most Fantastic Moment at Fuji Rock Festival 2001.